Now it’s true the London property market has undergone some quite acute property price falls. In the upmarket areas of Mayfair and Kensington, the Land Registry have reported values are 11.3% lower than a year ago, yet in the UK as a whole they are 1.3% higher. Yet look around the different areas and regions of the UK and Northern Ireland, property values are up 5.8% year on year, whilst over the same time frame, the East Midlands is 3.9% up and Yorkshire is 3.7% up. 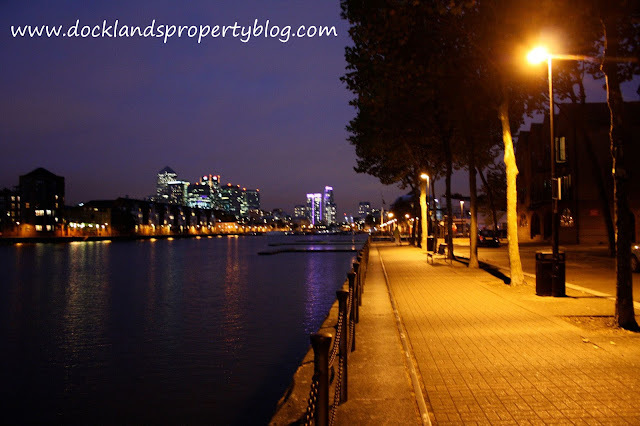 So, what exactly is happening locally in Docklands and what should Docklands landlords and homeowners really be concerned about? See how the growth of that £100 was broadly similar between 1979 and 2007 on all three strands of the graph and then we had the credit crunch drop between late 2007 and 2009? However, after 2009 Docklands went on a different trajectory to the South East and the rest of the UK. Whilst the UK was generally subdued between 2009 and 2012, the South East as a whole did better, yet Docklands kicked on like a mule. In 2012, every area of the country had a temporary blip (including Docklands), but in 2013 everything took off again. We have seen good growth from the UK since then, even more impressive growth from the South East region, yet Docklands went into overdrive and up like a rocket! Now you can see Docklands (and the South East) has dipped slightly in the last year (whilst the UK has continued to rise), so the hot question for everyone has to be - are price falls likely to spread (as they did in the previous property recessions of 1989 and 2007) to other places in the UK? The Bank of England’s opinion is that a London house price drop is unlikely to be the beginning of a countrywide trend. Looking at the graph again, it can be seen London has been in decline for 2 years, whilst the rest of the country has been moving forward. Property has in the long term been a good bet. Yes, we might have some short-term blips and as long as you play the long game - you will always win. In the short term, my concern isn’t over monthly up or down property values, Brexit or another General Election. With property values still rising faster than salaries in many parts of the country, what really matters is how much of householder’s take home pay goes into housing costs as opposed to other spending items. If housing gets too expensive - other things will suffer, like holidays and the nice things in life to spend your money on. Only time will tell!